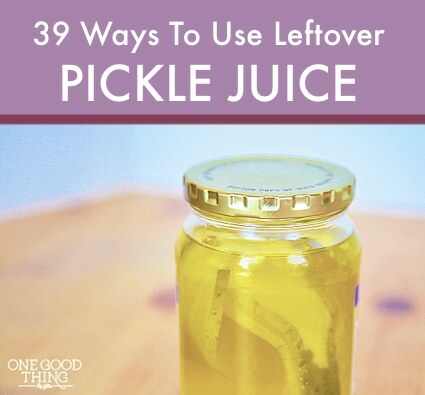 More often than not, we buy pickles and once we’re done we toss the remaining pickle juice down the drain. Not any more. Pickle juice has numerous uses in the kitchen and cooking, out in the garden, to help with cleaning, and in the medicine cabinet. If you’re a lover of pickles, save that juice and put it to use. You’ll be glad you did!